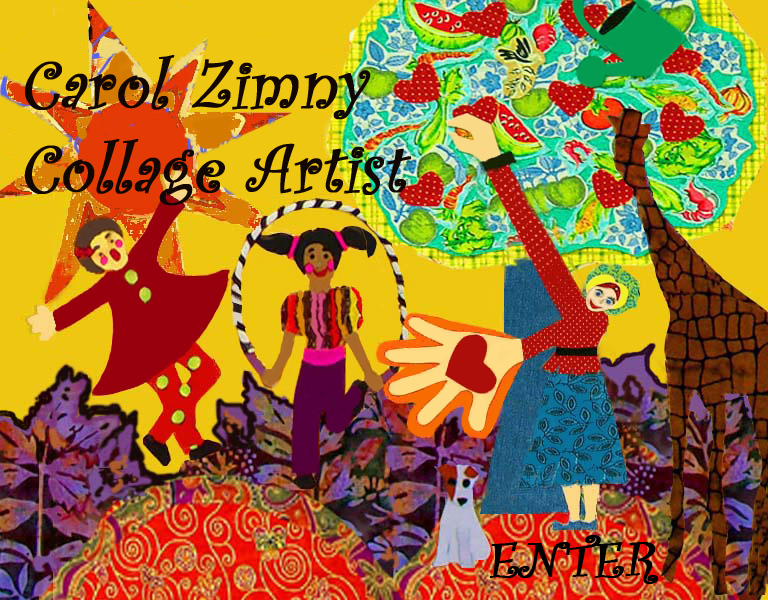 Mixed media fabric collage artist Carol Zimny, creates original ‘story-within-a-picture’ fine art. These personal collage stories are each a ‘slice-of-life’ snap shot about human experiences. reproduced into these giclee art prints.